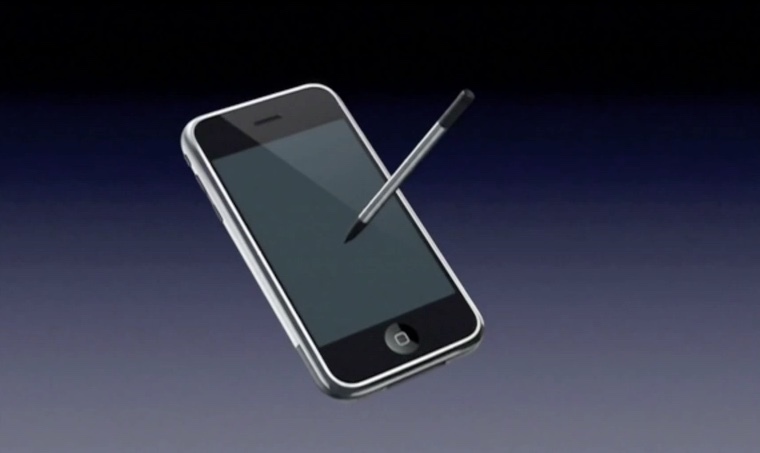 When he introduced the original iPhone in 2007, Steve Jobs famously mocked the idea that anyone with a smartphone would want a stylus or, as it has become known, the Apple iPen. The facts be known, however, he was right, well, mostly right. The US Patent and Trademark Office has issued 35 new patents to Apple for a variety technologies and techniques. One specific patent, unlike more than 141 patents issued to Steve Jobs since his death, doesn’t include the Apple cofounder’s name. However, the company does credit Aleksandar Pance as the sole the inventor of US Patent #8,922,530. A stylus, right? We’re gonna use a stylus! No… Who wants a stylus? You have to get ’em, put ’em away and you lose ’em… Yuck! 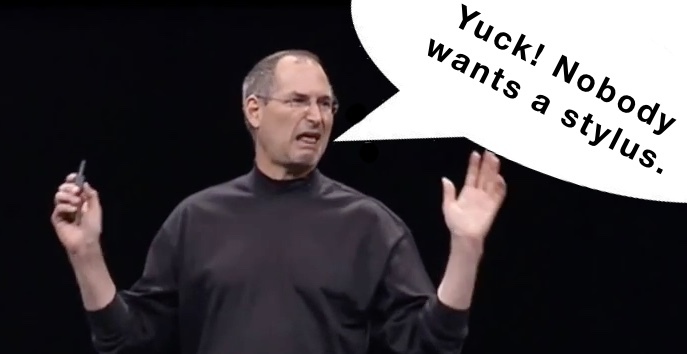 Nobody wants a stylus . That said, the US Patent and Trademark Office issued the Apple iPen patent on the last patent day of 2014. Of course, just because an Apple iPen exists and has been patent, doesn’t mean the company will sell an Apple iPen, ever. It’s worth nothing, however, that Steve Jobs quite famously changed his mind — proof of a great mind — including video iPods, 7-inch tablets and a host of other products he original derided and thought stupid. What’s your take? Is Steve Jobs up in heaven nodding his ascent or he spinning furiously in his grave?